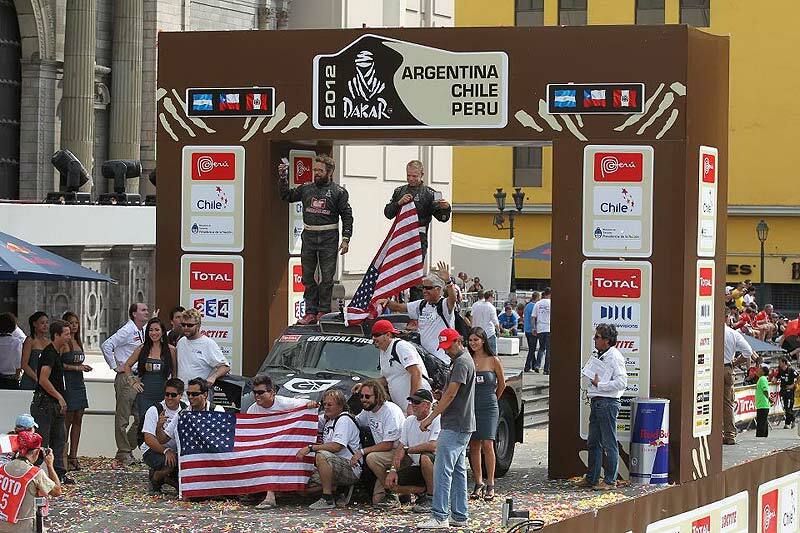 SA-Dakar Rally: Darren Skilton finished with the help of Australia´s Olholm. 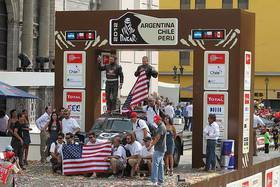 Many are calling this year’s Dakar Rally the most difficult since the race moved to South America in 2009. Bottomless silt beds and mile high dunes were served up on a daily basis in the 9000 kms adventure from Mar del Plata, Argentina to Lima, Peru. 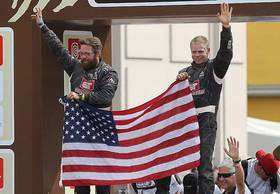 Only 72 of the 171 cars that started the race saw the finish line in Lima, and for the second consecutive year also: US-driver Darren Skilton with his Revolution VI buggy. During the first half of the Dakar Rally, Darren Skilton’s buggy was plagued by fuel issues, limiting the potential of the Revolution VI buggy. Master mechanic Barrie Thompson finally resolved the issue once and for all during the rest day in Copiapo, Chile with a high-volume fuel pump working in conjunction with a small sump tank to feed the high-pressure fuel pump. 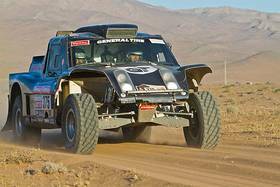 Once the fuel issue was resolved, Skilton posted a 24th place finish on Stage 7 from Copiapo to Antofagasta and was moving forward in the rankings. While the fuel system was resolved, like every Dakar competitor Skilton and navigator Skyler Gambrell still had their share of adversity when crossing the harsh Atacama Desert. 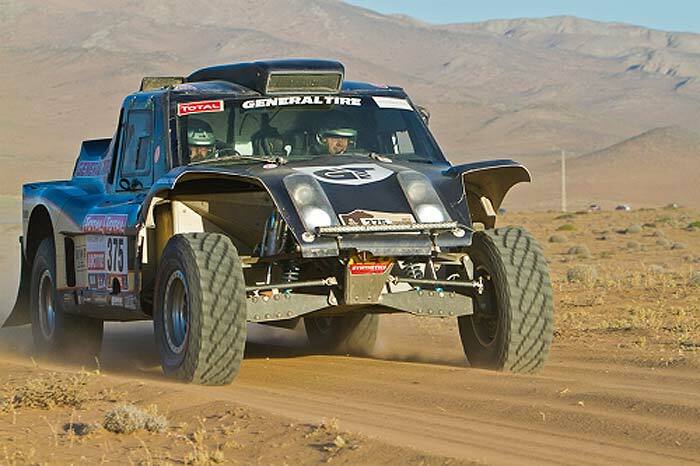 After become mired in a silt bed near the end of Stage 11 to Arequipa, the duo reached the end of the day’s race with only minutes to spare before starting the next grueling stage. The only thing stronger than Skilton’s General Grabber tires and Method Race Wheels was his will to finish the punishing Dakar Rally. The hardships were offset by success in the dunes, where Skilton’s experience piloted the nimble SPD-buggy to a 26th place finish on Stage 13 from Nasca to Pisco, Peru. On the last stage of the race the gearbox in the Revolution VI finally gave up, although Skilton and Gambrell did not. 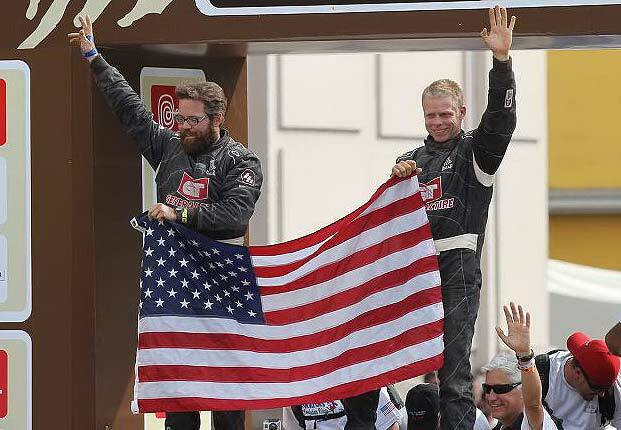 Fellow competitor Geoffrey Olhom from Australia assisted Skilton to the finish line, and his team from Baja Automotive physically pushed the car up the podium in an emotional celebration that drew deafening applause from the audience in Lima. Skilton’s position on the podium was well deserved, however his final position in the Open Production 1 class is still in limbo at this time, as the only competitor who finished ahead of Skilton in OP1 is currently under review for a technical infraction. Regardless of the finish position, Darren Skilton’s never-say-die attitude has earned him the respect of the grizzled Dakar community and race fans worldwide.